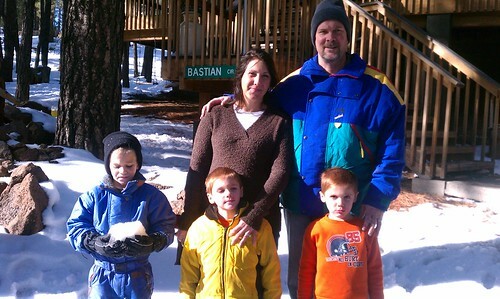 This past weekend, we took a “snow day” with the kids at the cabin in Flagstaff. Grandma and grandpa took the boys up on Saturday morning and Lori and I came up late in the afternoon. We had a lot of fun and wanted to make this page to share some of our day with family and friends.